During the 2014 “Our Ocean” Conference hosted by the State Department, Secretary of State John Kerry pledged support for building the observing capabilities of the Global Ocean Acidification Observing Network (GOA-ON). 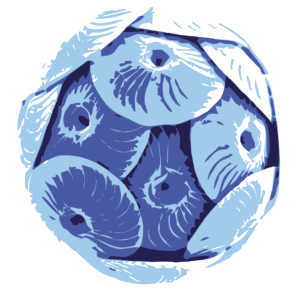 During that conference, The Ocean Foundation accepted the honour to host the Friends of GOA-ON, a non-profit collaboration targeted at attracting funding in support of the GOA-ON’s mission to fulfil the scientific and policy needs for coordinated, worldwide information-gathering on ocean acidification and its ecological impacts. Recently, NOAA Chief Scientist Richard Spinrad and his UK counterpart, Ian Boyd, in their Oct. 15, 2015 New York Times OpEd, “Our Deadened, Carbon-Soaked Seas”, recommended investing in new ocean sensing technologies, particularly those developed during the 2015 Wendy Schmidt Ocean Health XPRIZE competition, to provide the basis for robust forecasting in coastal communities lacking the capability for OA monitoring and reporting, particularly in the Southern Hemisphere. To increase OA monitoring and reporting capacity in Africa, an area where there are huge information and data gaps, GOA-ON has began a pilot program in Mozambique to hold training workshops for local scientists to learn how to operate, deploy and maintain OA sensors as well as collect, manage, archive and upload OA data to global observing platforms. A partnership between the U.S. State Department (via their Leveraging, Engaging, and Accelerating through Partnerships (LEAP) program), the public-private partnership ApHRICA, GOA-ON, and the XPRIZE Foundation, will provide resources to begin OA monitoring in Africa, enhance capacity-building workshops, facilitate connections to global monitoring efforts, and explore a business case for new ocean acidification sensor technologies. This partnership seeks to achieve the Secretary’s goal to increase worldwide coverage of the GOA-ON and train monitors and managers to better understand the impacts of ocean acidification, especially in Africa, where there is very limited ocean acidification monitoring.